Very good picture taken with your Canon GX7. With the tail code HH and the squadron written under the S in the MARINES on the side there (HMH-366), this tell me that you took a picture of a Sikorsky CH-53 Super Stallion. (Not only that, because as you might understand, I already knew what type helio it was ;-) ). 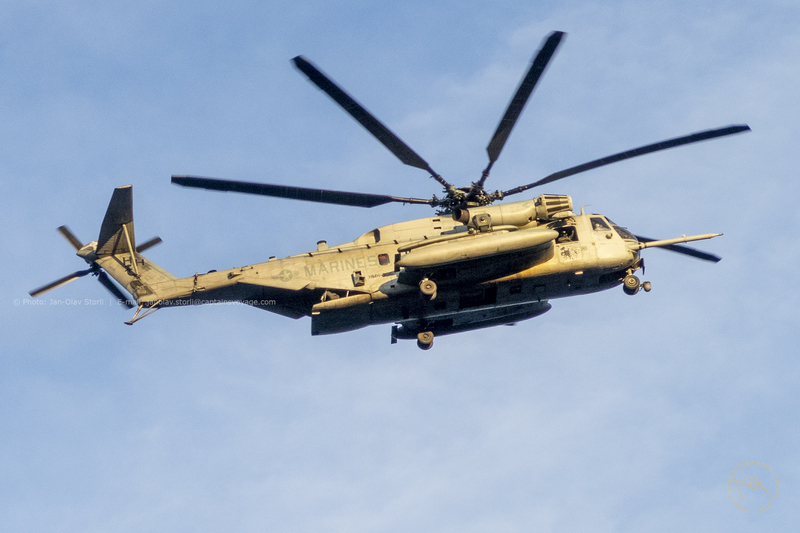 The HMH-366, or Marine Heavy Helicopter Squadron-366, has its home base at Marine Corps Air Station New River and their nickname is The Hammerheads. Thanks for the comments and for identifying the typ and home base! That's way more information than I managed to find. Did you also notice the guy in the side-window that appears to be waving to me? This day, I didn't bring my big Canon with me so all I had at hand was the Powershot camera. The camera is excellent in many situations but when it comes to images where I have to zoom, DSLR is the best option. I would'n’t normally have considered this hastily snapped helicopter photo worthy of posting, but it does ensure I'm not OT by merely posting the link below here in the Plane Spotters Gallery section! 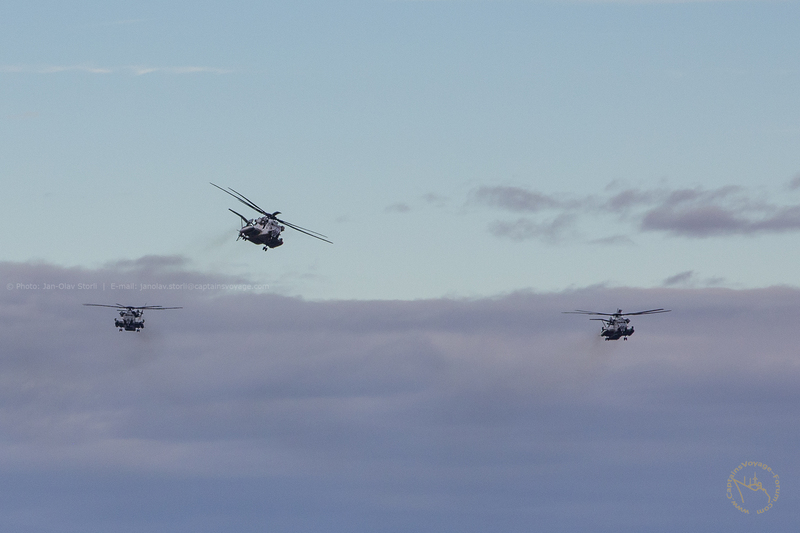 However, the link is to a video which actually features this very helicopter! Well worth just under 6 minutes of your time, whether your interests are in helicopters, aerial photography, live video, professional teamwork ....or even Formula 1 motor racing! It explains the role of the helicopter that provides live footage for the International TV feed which you may then get to see on your TV station's coverage at home. The video features the helicopter at the Abu Dhabi race which I actually went to last November, and there are stunning views of Yas Island and the circuit at the Marina. The synergy required of the helicopter pilot and the camera operator is something special. What I also found particularly interesting about the total teamwork involved was how sometimes sequences are taken "to order" from the Feed Director and producers on the ground. The example at 2:35 - 3:01 shows the helicopter view of the hotel that circuit runs under, and is then cued to wait for a particular car of interest (Alonso’'s on his last race in F1) and then follow it along the race track! The latter part of the video emphasises the improved camera technology and sheer sophistication and dynamism of the heli operation nowadays, and includes footage from other circuits in the F1 calendar past and present.